Mobile computing is transforming societies and economies, and the Internet of Things may well become the single largest system the world has ever known, with hundreds of billions of devices connected in ways that, like the Internet, encourage creativity and inspire decades of innovation. While it may seem that the mobile revolution is well underway, we are only just beginning to explore deep integration of connected computing into our lives. And for the IoT, we've barely started thinking about large-scale systems, how they will be composed, and what we will be able to do with them. Like the generations of computing that went before, certain iron laws of economics will govern how this will play out. One such is the inevitable emergence of "platforms" that allow hardware and software systems to co-evolve and that will give rise to new waves of application development. We argue that the mobile platform has not emerged yet and that we are years away from an IoT platform. This leads us to ask "what form will these platforms take? Anticipating a sensor-rich future, we conjecture that these platforms and their applications will have to address at least three challenges: the ability to manipulate and manage time-sensitive information across devices and networks that may not have been designed with this in mind; the ability to fuse information across logical, geographical and political boundaries with the ability to manage security, privacy, precision, and provenance; and the ability to scale computing and communications capacity as devices are added. In this talk, we will explore these challenges in some detail and consider the implications they may have toward platformization. We also present our early work on CROSSMobile - a new formulation of mobile networks conceived to assist in addressing these and other challenges. Bob Iannucci is Director of the CyLab Mobility Research Center and a Distinguished Service Professor in the Department of Electrical and Computer Engineering at Carnegie Mellon University. Previously, he served as Chief Technology Officer of Nokia and Head of Nokia Research Center. Bob’s current research interests include mobile networks, large-scale sensor networks, emergency communications, and indoor positioning systems. He teaches courses in low-power system-on-chip architecture and connected embedded systems architecture. He received his Ph.D. in Electrical Engineering and Computer Science from MIT in 1988. What makes a great team? How to predict a team’s success? How to discover the next leader? How to design a workspace that boosts creativity? Does playful bright workspace make teams more productive? What makes a happy and stress free workspace? Answers to these questions can dramatically change the way modern organizations operate, manage their employees and measure success. In this talk, I will share how Bell Labs' research is helping organizations to find the answers of the above questions by taking an opportunistic network sensing approach that transforms quantified noise into social signals and uncovers hidden behavioral and communication patterns that exist within and across organizations. I will cover the behavioral inference engine of this system, and share some of the fascinating results based on year long deployments in multiple organizations around the world. 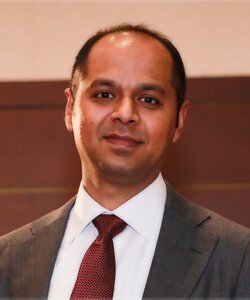 Dr. Fahim Kawsar leads the Internet of Things research at Bell Labs and is working within the field of distributed systems, data analytics, and pervasive computing. Currently, he is driving the IoT systems and applications research efforts of Bell Labs with a particular focus on Behaviour Modeling for Future IoT Services. Fahim's work has been published widely in international books and journals, presented at conferences across the world and has had projects commissioned. 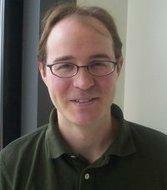 He is a former Microsoft Research Fellow and has worked before at Nokia Research, and Lancaster University. His work and publications can be viewed at http://www.fahim-kawsar.net.